This week children showed a great interest in playing with a water trough. They played independently, explored the contents of the trough. They looked excited with what they found in the trough. They interacted verbally and non-verbally with each other. This week for craft, we have been learning about the life of a butterfly. 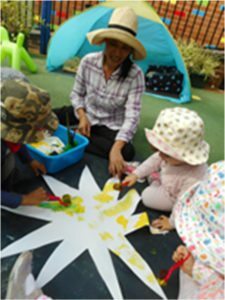 The children made a big butterfly collage, colouring the leaves, and the sun with paint. This was a fun activity for the children. 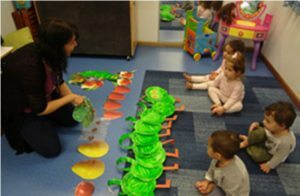 During this week, we had a group discussion with the children about the life cycle of a butterfly. 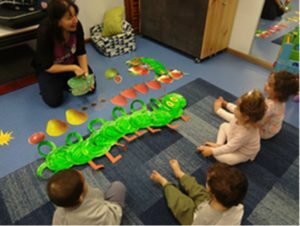 Discuss with children how the butterfly develops through four stages — egg, caterpillar, pupa, and butterfly. 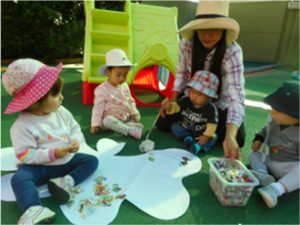 This intentional teaching experience exposed the children to the understanding of living things and the life cycle of a butterfly. (EYLF Outcome 2, pg. 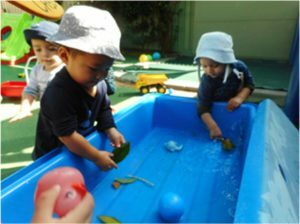 29 & EYLF Practice Intentional Teaching). 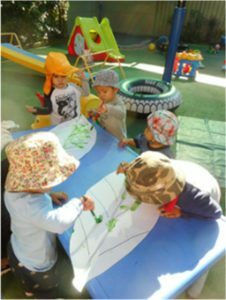 This exposed children to a great understanding and growing appreciation and care for natural and constructed environment. This week, we set-up home corner a camping dramatic play. 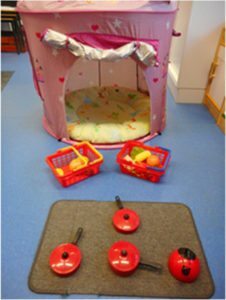 We provided the children with a tent with big cushion on it, baskets full of plastic fruits, some kitchen utensils and playdough which is great for strengthening muscle tone in little hands – squishing, squashing, rolling, flattening play dough all develop children’s muscles and encourage prewriting and other skills such as cutting with scissors, using tweezers, holding a pencil etc. 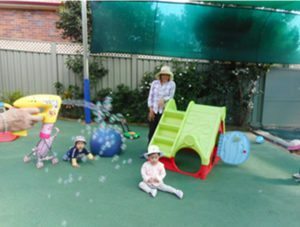 Such a lovely day to play with bubbles. 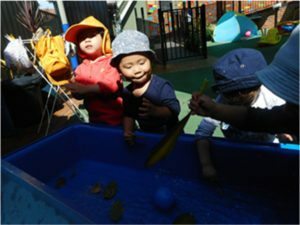 Bubbles are wet, slimy and sticky. They feel funny. 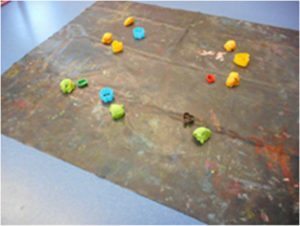 And the physical act of blowing can be a very effective sensory-based way to help children “organize”, calm, and focus their bodies. 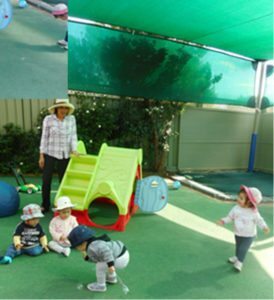 What an easy way to get children to reach way up high, stand on their tippy toes, squat, jump, run, stomp, and kick. It was a good day to play around outside. 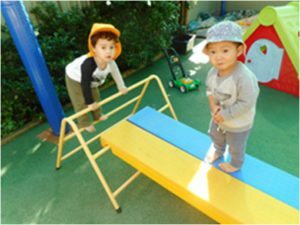 The children were busy climbing and walking along the balance beam independently. 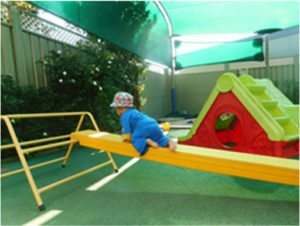 Alex took his first action to climb and crawl on the balance beam. WELCOME to our website! There is so much information here for you to read. However, regardless of whatever you find on this website, it can never really capture how wonderful Montessori truly is. We encourage families to book a tour to come and have a look for yourself.